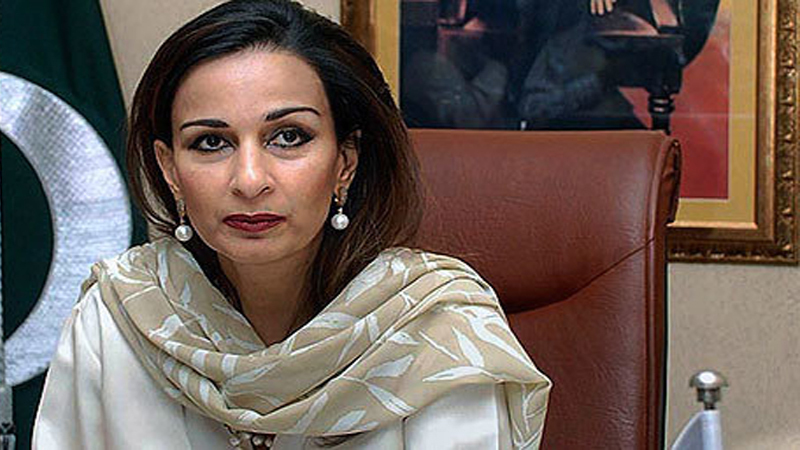 “The way the finance minister ran off to Washington without taking the parliament on board raises important questions and it is our right to ask them,” lambasted Pakistan Peoples Party (PPP) Parliamentary Leader, Senator Sherry Rehman, on Monday. Making note of the government’s failure to even secure a meeting with the US Secretary Treasury, she asked if they had done their homework prior to the visit. The senator then slammed the government for being forced out of the US-Taliban Doha talks. Rehman expressed displeasure at the last-minute postponement of two notified sessions of the national assembly and senate. This never happens, she added. The PPP stalwart claimed to have strong reservations in this regard. “The government did this to pass the tax whitening amnesty scheme because it knows it lacks strength in the parliament,” Rehman added. In response to the government saying it would teach the opposition a lesson, she said, “They want to teach the opposition a lesson but they will see how the people will treat them for squeezing them and not delivering on their promises.” The senator regretted, “The only two tabdeelis this government has gifted to the nation are; a poor performing economy and use of profanities. They are only busy in sidelining the parliament and hijacking all the institutions.” She believed that it was repeatedly trying to pin the blame of their dysfunctional governance on the system, but the opposition would not let any ulterior motives of this government materialise. “Are they not aware of Pakistan’s history? About how many times it has had the presidential system and how it fared? Do they not remember 1971?”she asked.